The European Union has formally recommended its 27 members “prevent” Israeli activity in Judea and Samaria through an economic boycott. The European Union has formally recommended its 27 member states “prevent” Israeli activity in Judea and Samaria through an economic boycott of Jewish communities in those regions. The EU's latest boycott recommendation came to light in the publication of the EU’s Jerusalem Report 2012, released Wednesday, in which the European body recommends its members avoid financial transactions with Israeli communities in Judea and Samaria, AFP reported. In the report, the EU suggests its member states “prevent, discourage and raise awareness about problematic implications of financial transactions, including foreign direct investments from within the EU in support of settlement activities, infrastructure and services.” The recommendation followed an internal report which alleged that Israel had used construction in eastern Jerusalem and Judea and Samaria to prevent the possibility of a two-state solution. In the strongly-worded 15-page report, the EU also calls to "ensure that imports of settlement products do not benefit from preferential tariffs" and make sure that all such products are clearly labelled as originating from Israeli-occupied areas." The move comes as a clear statement of support for the Palestinian Authority's attempt to oust some half a million Jews from their homes, and claim the entire area for its hoped-for independent, sovereign state without bothering with final status negotiations with Israel. 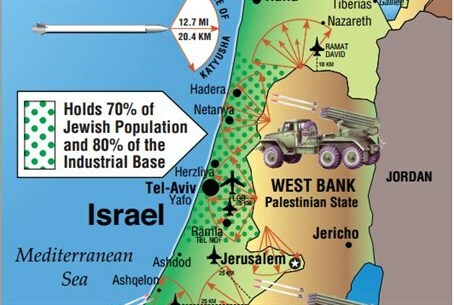 This ignores the fact that by any legal parameter, Israel is not "occupying" the area, which belongs to no sovereign state. A successful first step in that process was made at the United Nations last September when the PA won an upgraded status via the Palestine Liberation Organization (PLO) as a non-member observer state. The move gained for the PA de facto recognition as a sovereign country by the international body, and helped circumvent the need for final status talks with Israel on a myriad of issues, as mandated by the internationally-recognized Oslo Accords. The Palestinian Authority – and much of the international community – defines “settlement activity – in very broad terms, sometimes as broad as repairing a broken fence for a private home in an existing community, or paving a driveway. “Settlement construction” is a term defined equally loosely, and includes such activities as adding a pergola to an existing front or back porch or patio, or even enclosing an existing balcony on a home in a community that numbers at least 25,000 residents and has existed for more than 35 years. However, despite Israel's willingness to negotiate, PA leaders refuse to engage in talks without preconditions, and each time negotiations have been suggested, they have categorically rejected any attempt to jumpstart the process unless Israel first agrees to all PA demands -- primary among them, a complete halt to all "settlement activities," the "right of return" for more than five million foreign Arabs who once lived in the area and their generations of descendants, and the surrender of nearly half of Israel's holy capital city, Jerusalem, for use as the future capital of the hoped-for PA state of "Palestine." At present, the twin capitals of the Palestinian Authority are the Samaria-based city of Ramallah, and Gaza-based city of Gaza City, inasmuch as the two leading factions of the PA, Fatah and Hamas, have yet to even reach an agreement on creating a unity government.